SEGA is a gaming company that needs no introduction, whether you’re a younger gamer or an older one. They are, of course, the company behind Sonic the Hedgehog and other iconic characters (and games based on said characters), but they also have some offerings for those who enjoy playing sports management games, including on their mobile devices. SEGA Pocket Club Manager is the latest such game, and regardless whether you’re on Android or iOS, this game is now available for free for your mobile device. SEGA Pocket Club Manager is a “casual football RPG” that combines elements from soccer management and role-playing games alike, and while this may suggest that you won’t be getting any real-life teams and players, the game does come with 2,000 European League and Japanese National players from the real world. You will also have tons of team tactics and formations to choose from, and these will all be crucial as you try to work your way from the lower leagues all the way up to the top! Yes, this is a game that advertises itself as a casual title, but that doesn’t mean it’s a complete walk in the park. There are several features in the game that could take a while to figure out, and you may have a hard time processing all the information you need to process while you’re just starting out. Have no fear, though, as our SEGA Pocket Club Manager strategy guide will help fill you in on everything you need to learn as a first-time player. 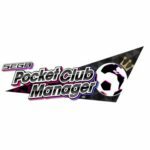 SEGA Pocket Club Manager is not necessarily unusual when it comes to soccer management games, in the sense that you’re taking control of a lower- tier team of nobodies and trying to take them to the highest possible league, hopefully winning a championship at every possible level. Of course, this game has its share of twists, such as the fact that the team you’re supposed to be managing falls apart after an impressive win (during the tutorial stage), and that your job is to start back from square one and work your way up from the bottom. Throughout your journey from the bottom of the lowest-tier league to the top of the highest, you will receive constant guidance from your Secretary, who will coach you on new mechanics or features when they are introduced for the first time, then conveniently summarize them afterward. We recommend that you pay close attention to these messages from your secretary — she may be quite persistent compared to other virtual assistants in these games, but she knows what she’s talking about, and she can help you make sure your team is up to speed! SEGA Pocket Club Manager is described as a casual football management game combined with an RPG, and we can’t exactly disagree with that assessment. One common feature this game shares with those in the RPG genre is that there are tons of quests, or missions as they’re called in here, to complete, divided into different categories. These are all in there to help guide you on the right path (just as your Secretary does through her frequent updates and constant advice). As we mentioned above, there are different types of missions to complete, starting out with the Main missions. These are the core missions that define your progress in the game, and the main types of rewards you can earn here include cash, GB (a premium currency used for recovering AP, or the game’s energy unit), and scouting tickets. Logging in for seven consecutive days, quire interestingly, is included in here, and that’s our cue to remind you that you should log in to the game every day, as much as possible, even if it’ll only take you a minute or less. That’s because your seventh-day login reward is a 5-Star Guaranteed Scouting Ticket, which is just what it says it is — a sure way to get yourself a 5-star player and improve your team post-haste! Daily missions reset once a day, and would reward you with cash (aka Club Funds) and GB, provided you fulfill the requirements all within the span of a day — for example, you may be asked to score 10 goals in league matches, play 10 League Matches, win five of those League Matches, etc. in one day of gameplay. Achievements are longterm missions where you can win Club Funds, GB, as well as various other rewards, including Energy Drinks (to restore AP), Training Abroad EXP Tickets (for boosting your players’ experience and leveling them up faster), and more. These missions may include promoting a player, managing your club for three seasons, treating an injured player, etc. Lastly, you’ve got your Event missions, which are currently grayed out as of this writing, but pertain to limited-time events which you will eventually be able to compete in. When talking about scouting new players and adding them to your team, you’ll be able to do this by tapping on the HR (Human Resources) tab and choosing any one of the two scouting options — Scout and Premium Scout. The basic Scout option allows you to recruit new players through your regular scout, though while you’re just starting out, you shouldn’t expect much more than common one- or two-star players. The quality of the players you can recruit through this option, however, will improve as you move up from league to league and win more matches, so don’t expect much from basic scouting, and don’t rely too much on it either. What you’ll want to pay the most attention to is the Premium Scout option — while completing missions and winning matches, you’ll likely win your share of Scouting Tickets, and through these tickets you use in Premium Scout, you will be able to bolster your roster with three-star players or better. You can also spend GB to purchase premium players via this feature, though the game does notify you that there’s a chance you will receive duplicate players. If this happens, the duplicate player will be “converted into a coin,” so either way, there’s nothing to lose when using this option for improving your roster. have on your roster, and choose whom you wish to include in your starting eleven. To make things easier for you, we suggest that you hit the Recommended Selection button on the bottom left, and choose whether you want to prioritize player ability or the “formation combo,” which we shall talk about in greater detail in a later guide. But to keep things simple, this refers to a buff, or buffs your team will receive if you meet certain conditions. The Edit Team screen will also allow you to choose managers, which we would highly recommend prioritizing because different managers have different preferred tactics and different requirements for Formation Combos. Managers can be recruited via the HR menu, and unlike in real-life association football, you can have more than one on your team. By tapping on the Strategy button, you will have an option to change Tactic Settings, Formation Settings, Set Roles, Positions, Game Plan Settings, and Managers. 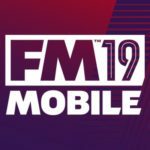 Without going into great detail, we suggest that you use the first few matches you play (as you take over your first-ranked team in the final games before they get their first promotion) to experiment with formations and different lineups to see which one works for you the best. 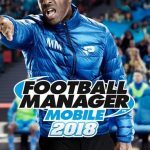 Just as we mentioned in this guide’s first tip, SEGA Pocket Club Manager is all about management, and won’t force you to manually control your players like in other games such as New Star Manager and Dream League Soccer. Here, you can change your tactics depending on whatever your opponent has chosen, or give out instructions to your team — do you want them to play a more attacking game, a more defensive game, or do you want to leave things as it is? Those are just a few of the instructions you could give, and each instruction gives your team buffs and/or de-buffs that you’ll need to evaluate; especially in the matches prior to your first full season, you can play around with this feature to see how specific instructions impact your team. Aside from editing your lineups before a match, you can also view the opposing team’s lineup so you have a better idea of what you’ll be going up against. It pays to do your own scouting before each match, so don’t rush out and play the match, only to regret it in the end! Rage-quitting, which allows you to get a do-over in other PvE soccer management titles, is not an option in here, because the game is pretty much decided once you kick things off, leaving you with no choice but to see what happened in the newly simulated match! Once you complete a match, you will earn rewards, regardless whether you win or lose — these rewards may include training materials, which we shall be discussing in the next tip. And if you’re playing a home match, you will also earn income based on the number of fans who showed up to the match. As the game would often remind you, you will not earn any income through your away matches! Scouting players, even those who are of three-star rarity or better, is not the only way you can improve your team. Naturally, there is an option to make your own existing players better, and you can do this by training them. Simply go to Edit Team, tap on any one of your players, then choose the Train option. Once there, you can view their basic information (but no season statistics, unfortunately — that’s where the “casual” football management comes in, we guess), view their Playstyle information, and train them abroad. No need to worry about the latter option just yet — it’s the Playstyle section which you want to pay attention to when training your players. As you win more matches in the game, you will win training materials which you can apply on your players via the Playstyle menu, and if you’ve got enough materials to activate an ability, you will see a blue exclamation mark next to it. Make sure to save your materials for your more skilled players rather than the one-star or two-star scrubs you started with! And of course, make sure you’re playing as many matches as you could, either as your free time would allow, or your AP would allow. As we mentioned one tip ago, you will typically earn new training materials, whether you win or lose the match. Of course, there is more to football/soccer management than simply building up your roster, choosing formations, and managing your players. Most games will require you to upgrade your stadium and create/upgrade other facilities, manage ticket prices, and the like, and SEGA Pocket Club Manager is no exception. The Town feature becomes available once you’ve started your first full season of management, and once it is unlocked, you will be able to increase your Stadium’s seating and upgrade your Clubhouse, as well as add new facilities for both buildings. Improving the former building will help you increase your revenue, while improving the latter will help toward player growth, so it’s important that you do not neglect the Town button and regularly visit it in order to perform those upgrades. Before you can start regular season competition, you will need to choose a company to sponsor you. Through this, you can earn rewards at the end of the season, though that’s actually the main caveat — you need to look at more than just the potential rewards when it comes to choosing a sponsor! For example, the biggest possible reward may only be winnable if you finish third in your league, while the middle or lowest possible reward would have reasonable enough expectations. You wouldn’t want to waste those potential rewards by choosing a sponsor whose expectations are too steep for you to meet! That’s why it’s important to consider both the sponsor’s expectations and your reality, for lack of a better term, and not just the money and other rewards you could be receiving. That’s all for now as far as our SEGA Pocket Club Manager tips and tricks are concerned. If you have anything to add, let us know in the comment section below!